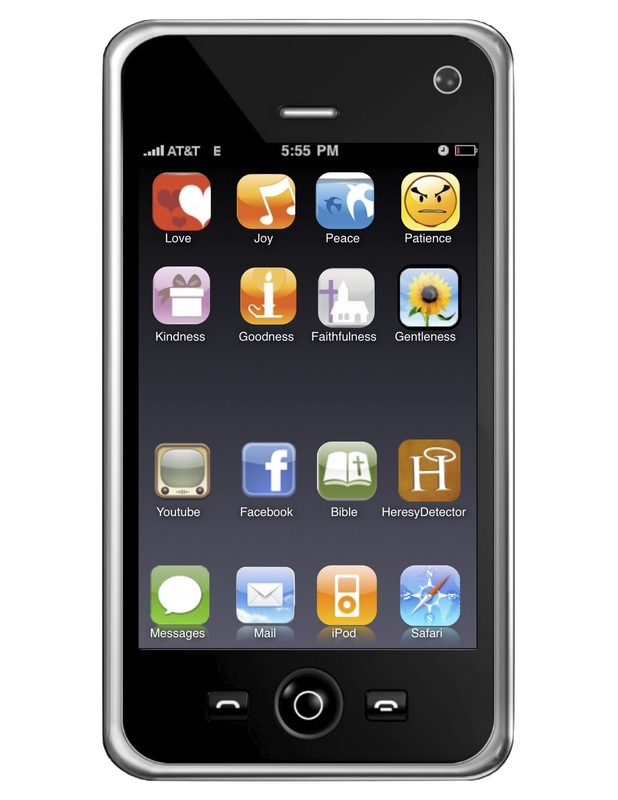 There's An App 4 That Week 8 - "Gentleness"
This week I am preaching the eighth part of a nine-part sermon series on the Fruit of the Spirit. This is officially the longest sermon series I have ever preached. But it really has gone by quickly, and gauging from the number of sermon CDs that have disappeared from our shelves, lots of people seem to be digging it. I know that this series has landed on me more than once. I kind of see this whole series as an antidote to the "get Christian quick" books that fill Christian bookstores. Rather than searching for quick and easy steps to be "better" Christians, I am pretty sure that what God desires for us is to simply be in a relationship with His Son, Jesus. And when we are in that right relationship with Christ---one that is up close and personal---we demonstrate evidence that we are "walking" with Him. The Apostle Paul called that evidence "The Fruit of the Spirit." All of the aspects of the fruit that Paul wrote about are the ways that we can measure our closeness with Christ. If the portrait of the person that Paul paints in Galatians 5:22-26 doesn't really look at all like the person I see in the mirror, I probably need to pay attention to my distance from Jesus. I'm preaching on "Gentleness" this week. This is another one of those sermons that landed on me heavily. When I describe myself I don't often use the word "gentle" in my list of adjectives. 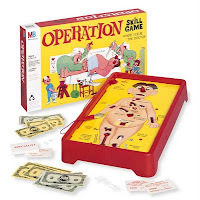 When I was a kid I used to play this game called "Operation." I like how it was billed as a "skill game." The game was actually battery operated with an electric charge running through it. 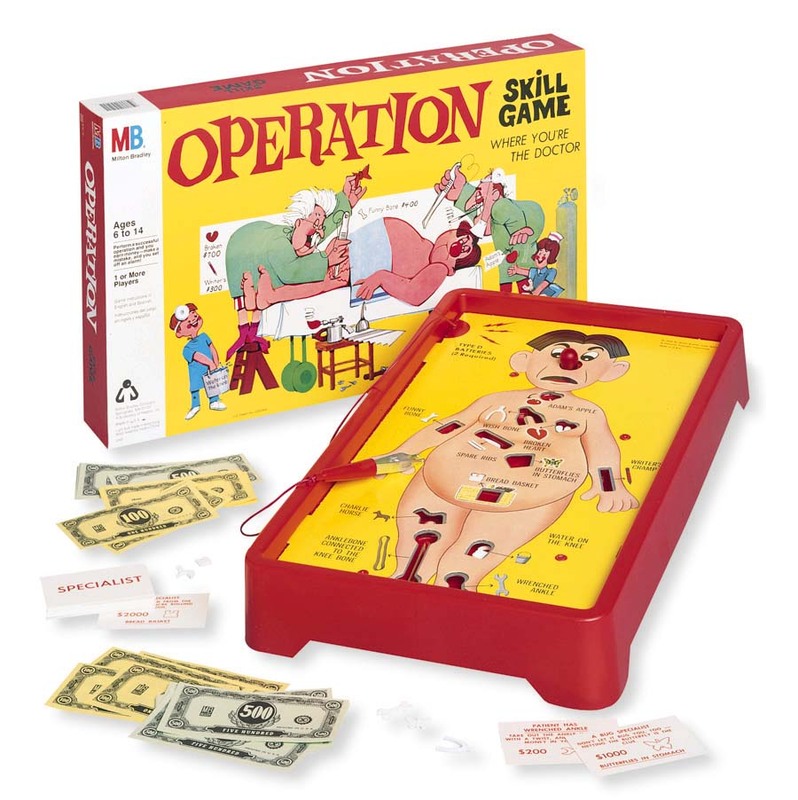 Players took a metal tweezer and extracted silly named body parts from the hapless patient, "Cavity Sam," on the game board. If you touched the side of the board as you extracted the body part, the nose of the patient lit up and you lost your turn. The more "skilled" you were, the more money you made as a "doctor." So what does this game teach us about gentleness? First, it takes time. You can't rush gentleness. If you are in a hurry to extract Cavity Sam's funny bone, you'll get buzzed for sure. Second, it takes focus. You have to be present in the moment when you are performing an operation in "Operation." If you allow your friend to distract you with loud sounds or an airhorn, for example, you will probably get buzzed. Third, it takes guidance. In order to succeed with a gentle touch in "Operation" you need to pay attention to the size of the body part you're extracting, and the shape of the cavity in "Cavity Sam." And if you want to win, you have to know the rules of the game pretty well. You can go "easy" and wallow in mediocrity, or go "hard" and reach the pinnacle of gaming success. Makes you wonder how many other life lessons you can learn from Milton Bradley board games for players age 6 and up. When you start pondering what we just learned, though, it makes the earlier definition of "gentleness" a bit shallow, doesn't it? Plus, if you've been following along with this series, you probably have begun to expect that our definitions of the aspects of the Fruit of the Spirit fall woefully short. James 3:13-18 - "Who is wise and understanding among you? Let them show it by their good life, by deeds done in the humility that comes from wisdom. But if you harbor bitter envy and selfish ambition in your hearts, do not boast about it or deny the truth. Such “wisdom” does not come down from heaven but is earthly, unspiritual, demonic. For where you have envy and selfish ambition, there you find disorder and every evil practice. But the wisdom that comes from heaven is first of all pure; then peace-loving, considerate, submissive, full of mercy and good fruit, impartial and sincere. Peacemakers who sow in peace reap a harvest of righteousness." "Beautiful Graciousness" That's the translation of "good life" here in James 3. How awesome is that? And to take this a bit further, when you exhibit the kind of gentleness that is referred to here in James, it is "enthroned as the controlling power of your heart." James seems to take the whole idea of "beautiful graciousness" seriously. In fact, this passage basically contrasts a wise person, who exhibits gentleness, and an unwise person, whose life is controlled by fanatical bitterness. A person who is gentle has wisdom "from above," James asserts. The person who is not has "earthly" wisdom, which is just another way of saying they act like an animal--focused on self-preservation and base desires. James paints a portrait of someone who lacks gentleness as full of "zelos" and "eritheia" (jealousy and selfish ambition) This is the kind of person who is full of bitterness, who causes trouble and creates division wherever they go. They are the kinds of people in churches who love to gossip, who infiltrate church boards and committees and do their best to cause confusion and commotion. 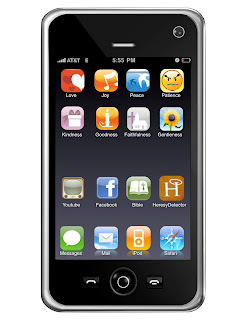 James is clear that you will know these people by their "fruit"--the kind of fruit that is devilish rather than divine. This is hard for many of us to hear, because we've all been that person. To be utterly convinced of your own beliefs or position without at the same time being bitter to those with others is no easy thing. It takes time... This is my time that is spent in the company of Jesus. It takes focus... I need to be paying attention to my relationship with Christ, refining it, praying over it, working on it. It takes guidance... I have to spend time in God's Word, engaging in Kingdom work, and listen to the wise counsel of those God has placed in my life to do just that.